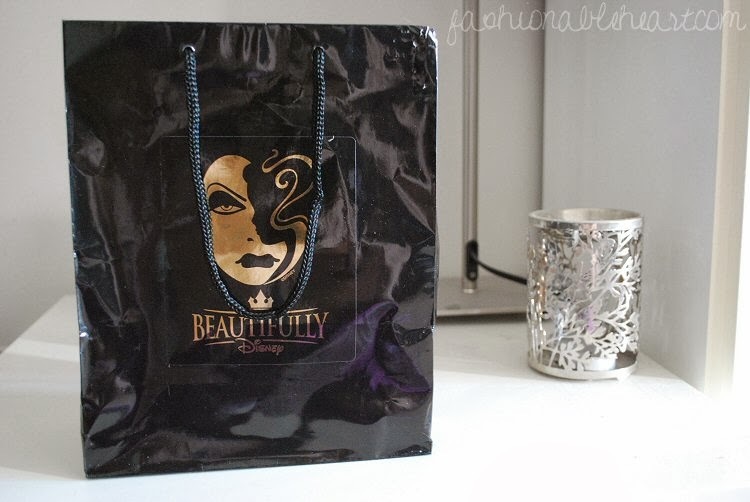 Disney has their own makeup line now, available in the parks and online. The collection that just came out for Beautifully Disney is called Fiery Spirit and based around Jasmine, Merida, Mulan, and Pocahontas. The collections that I shopped from is Wickedly Beautiful based on Snow White, Cinderella, Ariel, Aurora, Evil Queen, Lady Tremaine, Ursula, and Maleficent and Unlock the Spell based on Tiana, Rapunzel, and Belle. Yes, please! My SIL and BIL went on vacation in Disney, so I knew exactly what to ask them to bring back for me. This is the makeup side of things. Aside from a few other little knick-knacks and souvenirs, I also asked them to pick me up some bath items from Basin (similar to Lush). I'll be showing swatches and reviews of the makeup, as well as reviews of the bath goodies. ^ They even have special bags. So pretty! 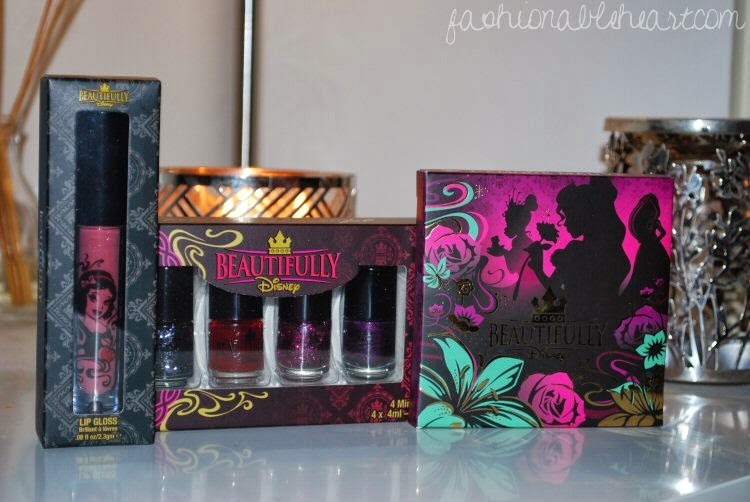 ^ Snow White Love's First Kiss lipgloss, Villain mini nail polish set, and L'Amour Mauve eyeshadow palette. I cannot wait to share my reviews and swatches with you in my next posts. I will let the cat out of the bag early and say that I am very impressed with the quality! Make up based on Pocahontas. Oh man they completely have caught me. @LB- You're right! It doesn't seem they have any of the palettes listed. I did link to two sites that have the one listed that I got in my post today. Hope that helps!